Home › Gov't Workers & Unions › Japan fixes a road in 6 days while Americans sit in traffic for years…why? 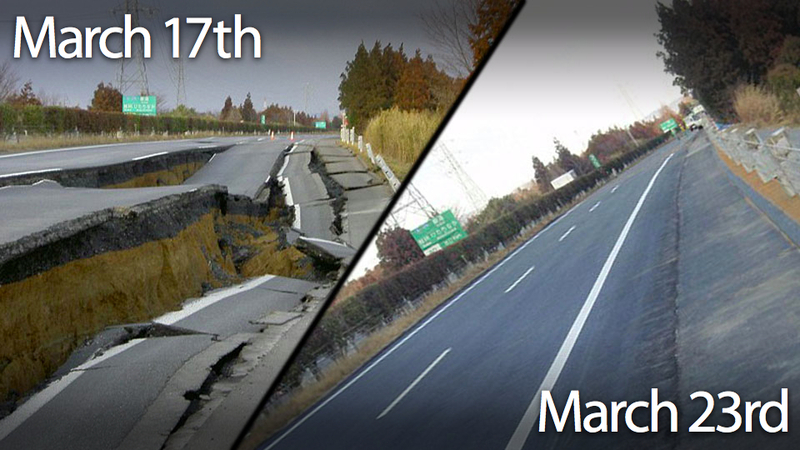 Japan fixes a road in 6 days while Americans sit in traffic for years…why? Japan fixes a road completely destroyed by the earthquake in just six days. Americans wait years for repairs. The repair of the 10 freeway in California after the Northridge earthquake took three months and they made a big deal out of how fast that was, which means it should have taken a lot longer. Most of us measure any road or highway construction in months, not weeks…and never in days. Why does it take so long? Is it inefficient government? Is it expensive over-entitled, under-worked Union employees? Is it laziness? Can we just outsource all road repair to these Japanese companies? Please?